Upgrading Your Swamp Cooler to Refrigerated Air? | EP Temp Line, Inc. Thinking about switching to a refrigerated unit in El Paso? There are lots of factors to think about when choosing a refrigerated air unit for your home. None is more important than the size of the central air conditioning system. For the correct performance of your HVAC system in an El Paso, TX house you have to size the central air conditioning system to your house square footage and the cooling required based upon the cooler's output and not its physical measurements. The square footage in your house is not the only aspect that matters when picking a central air conditioning system. Think about other variables that might make your house harder or simpler to cool. A greatly shaded house might need 10 percent less energy to cool. On the other hand, more windows, little shade, and a bright environment might have the opposite result. If a cooking area is utilized routinely for cooking, then it can likewise considerably increase the energy required for cooling. Evaporative coolers and refrigerated ac system work with completely various concepts. An evaporative cooler utilizes water-soaked pads and a fan to generate cooled air from the outdoors, while an a/c unit utilizes pressurized coolant to cool the air. A/c provide the very same temperature level despite outside weather, while the temperature level of air evaporative coolers provide depends upon the temperature level and outdoor air humidity. The only part of an evaporative cooler system you can utilize with the central air conditioning conditioner is the ductwork if your evaporative cooler blows air through the ducts. 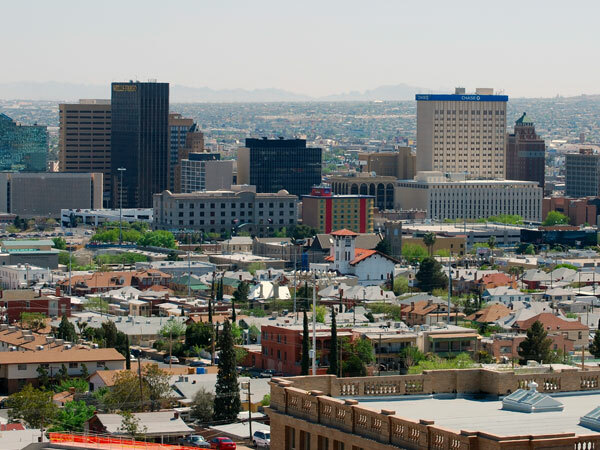 With summertimes getting hotter in El Paso, TX, a growing number of individuals are updating to refrigerated HVAC. There are lots of things to think about with transforming to refrigerated air. The EP Temperature Line group of certified HVAC specialists can assist you through the procedure and help you to make the ideal choice that best fits your house cooling requirements. Allow the specialists at EP Temp Line to provide you with cooling options that will satisfy your requirements and budget plan. How much Does it Cost to Transform a Swamp Cooler To Refrigerated Cooling? There are lots of aspects to think about when pricing a conversion to refrigerated cooling. Contact a heating, ventilation and a/c (HVAC) seller who can evaluate your home requirements and suggest the very best system for cooling your house. Setting up the appropriate size is important to keep your house cool and comfy, however too big a system really makes cooling your house harder considering that the system cycles on and off too rapidly to lower the humidity in the house. If you currently have ducts in your house, the procedure goes a lot more rapidly. The cost of a central air conditioning conditioner typically includes the installation. Self-installations void all the service warranties for the unit. Due to EPA policies relating to coolant handling, a certified HVAC professional should upgrade your system. Call EP Temp Line, Inc. today and talk to one of our HVAC professionals about converting your swamp cooler to a refrigerated air unit.